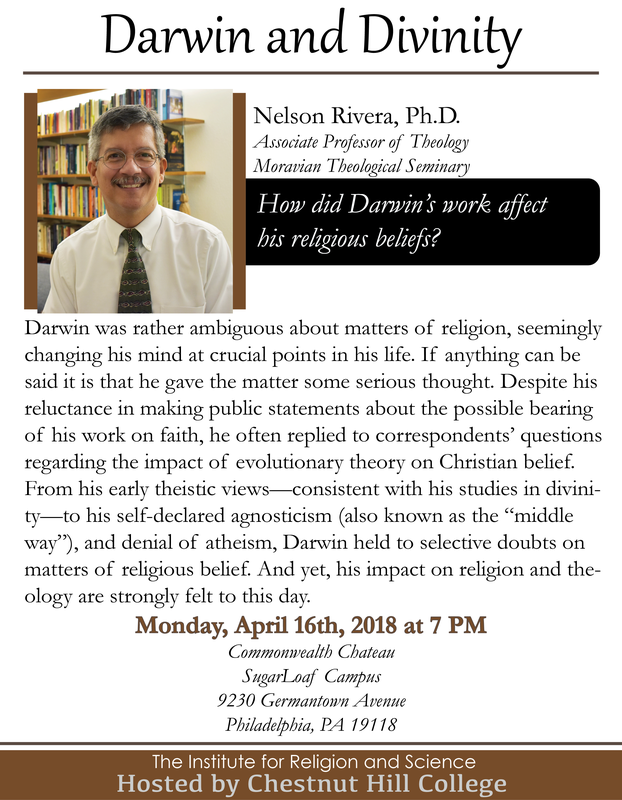 Nelson Rivera is Associate Professor of Theology at Moravian Theological Seminary in Bethlehem, Pa. He has a PhD in Religion from Temple University, and is an ordained minister of the Evangelical Lutheran Church in America. Dr. Rivera’s main area of teaching and research is Doctrinal Theology, with pronounced interest on the evolution of Christian doctrine, the use of theological language, and how these disciplines inform the practice of ministry. His published work covers confessional statements of faith, as well as the application of an evolutionary epistemology in theology and the sciences, the latter found primarily in his book The Earth is Our Home (Imprint Academic, 2010). Join us Monday, April 16th at 7 PM!